The science is overwhelming. Artists reflect on and respond to mankind’s most urgent global issue, climate change. Your vision is our looking glass that clarifies this pressing condition with the hope of inspiring solutions. 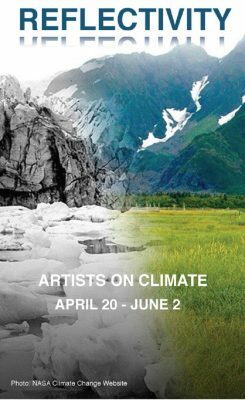 Healdsburg Center for the Arts proudly presents visions to inspire in this special exhibit: REFLECTIVITY – Artists on Climate. All shipping of work to and from Healdsburg Center for the Arts is the responsibility of the artist.